A silver pearl finish ballpoint pen with a small dotted green grip. 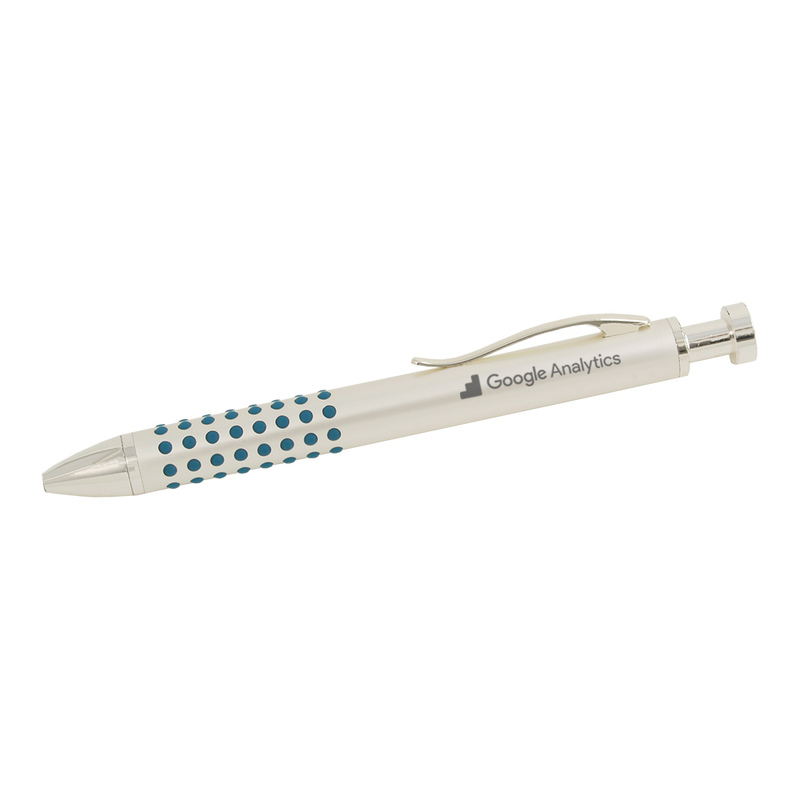 The pen features solid brass caps and parts that guarantee a solid, quality construction. Ballpoint pen utilizes a push/click-action mechanism and is refillable. Available in three colors.